It’s hard not to give in to personal biases. Ruben Amaro can sign a veteran to a ridiculous contract, and the fans will call him out. Theo Epstein might do the same thing, and MLB message boards across the nation will light up, trying to interpret its “true meaning”. But as lauded as the perceived curse-breaking GM in Chicago might be, outside of the man in Oakland, there’s probably not a front office in baseball that operates more like a Rorschach Test than the one in Dodger Stadium. I’m as guilty of this as anyone. After enthusiastically greeting the hiring of the long-on-brains, even-longer-on-money front office last October, I quickly soured on them. Two massive trades, involving some of the most popular, exciting players on the team, followed by expensive free agent signings of two ex-Oakland starting pitchers that seemed to scream, “You just don’t GET it!” was enough for me to wonder if I could continue rooting for this organization. Fortunately, the moves turned out to be much better than I thought- though still not nearly as good as OTHERS thought, but I digress- and my enthusiasm ultimately overpowered my cynicism. 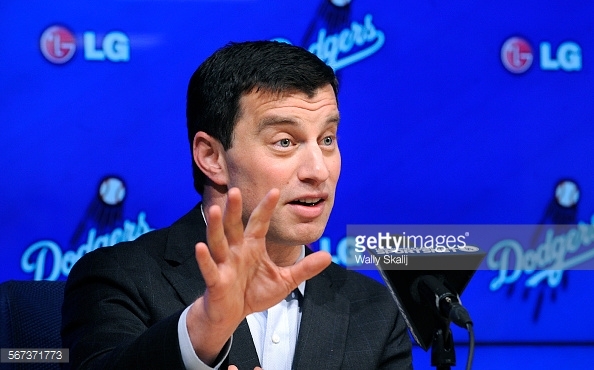 But that doesn’t mean I bought in to Andrew Friedman’s program. Now that the 2015 trade deadline has come and gone, I may at least start to reconsider. I know that many Dodgers fans had their hearts set on a Hamels, a Price, or a Cueto. To some extent, so did I. But the price of those guys, in terms of player personnel, may have been higher than Friedman and Fahran Zaidi were comfortable paying. (Ironically enough, it looks like Scott Kazmir may have been the one to go after early on, but hindsight is 50/50.) Instead of going for one great starter that would have potentially made the Dodgers thinner in the future, they opted for two good starters in Mat Latos and Alex Wood, at cost that should have zero impact on the team going forward. (The budget, of course, is another matter, but this is nothing new these days.) Also not to be overlooked, the team solidified the bullpen with Jim Johnson and Luis Avilan, and brought over a prospect, Jose Peraza, that may end up being the Dodgers’ second baseman next year, and hopefully beyond. Personally, I continue to be regretful about the guy who should STILL be the Dodgers’ second baseman- and I say that, fully aware that Howie Kendrick and Enrique Hernandez are having nice seasons- but that’s over now. What Friedman and company did was the next best thing to make up for it. Perhaps the most underrated part of this trade is what it says about the front office’s faith in Justin Turner. In the offseason, the Dodgers paid an enormous amount of money to sign Cuban defector Hector Olivera, an infielder that they didn’t need. 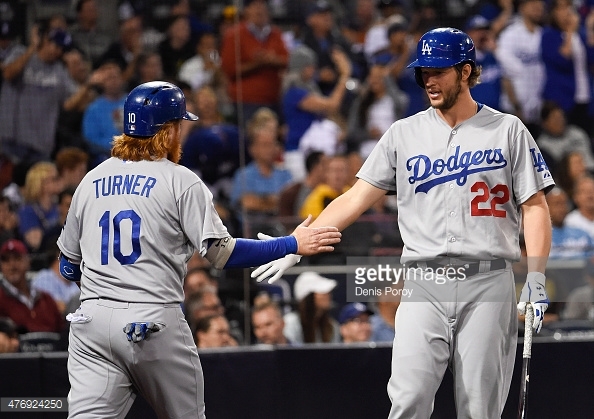 Olivera did well in the minors, but Turner performed even better in the MAJORS. Even so, for a while it appeared that the Dodgers were determined to put Olivera into the lineup, regardless of what Turner was doing. 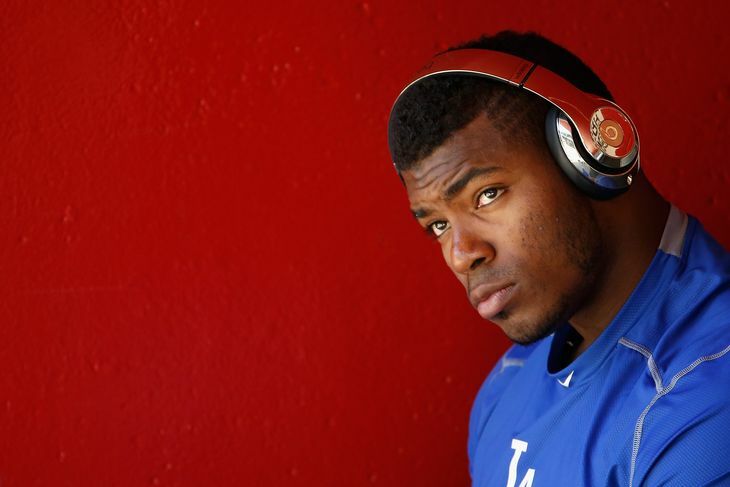 The biggest indication seemed to be SNLA announcers referring to him as “the Dodgers’ third baseman of the future”. (Outside of Vin Scully, it’s pretty clear by now that the rest of the announcers, great as they are, operate within the company lines.) 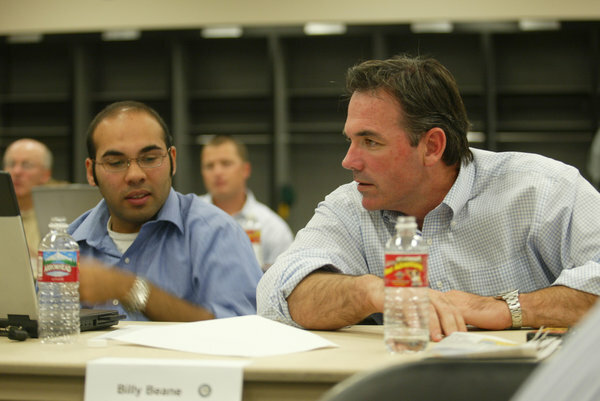 We often hear about players doing “what’s best for the team.” By trading away Olivera and giving the nod to Turner, the Dodgers’ President of Baseball Operations did just that, and it shouldn’t go unnoticed. Though the Dodgers are probably a better team today than they were yesterday, it’s not all rainbows and lollipops. The amount of money to make this happen was absurd, even though the Dodgers can clearly afford it. And as usual for Friedman and his crew, the media went overboard in their praise, referring to them (and specifically him) as “brilliant” a few too many times, failing to mention that these moves were needed, in part, because some of their previous ones did not go as planned. (Full disclosure- Regrettably, I used this term once myself yesterday, mainly out of excitement that the Dodgers received so many potentially contributing Major Leaguers, without giving a single current one back. But it was as much out of relief than anything else.) Particularly funny was a local writer, who praised Friedman for getting rid of the “bad debt” of Dee Gordon (among others), then later quoted him on the Dodgers adding Peraza, saying how the team was in need of “foot speed”. (You don’t say!) But make no mistake- the Dodgers addressed ALL of their current problems, without creating new ones. That doesn’t mean it will all work out, as AJ Preller can tell you. But the reasoning is sound, and while fans may still have to hold their collective breathe on days that Kershaw and Greinke aren’t pitching, at least they may be able to exhale a little bit more quickly. As for the team itself, they are holding onto first place- barely- though not without some serious concerns. Justin Turner has been placed on the DL for an infection, which will hopefully clear up within the next few days, for his sake and his team’s. Less threatening in the physical realm but more so on the field, Clayton Kershaw is dealing with a sore hip, but he claims that pitching Saturday afternoon will not be a problem for him. (Let’s hope that’s true, along with the idea he will be able to say the same thing AFTER the game.) Dodger fans not enamored with Dee Gordon should at least take interest in the man assigned with the tall task of facing off against Kershaw today, Andrew Heaney, who was flipped for Howie Kendrick hours after being traded for Gordon. Should be fun!